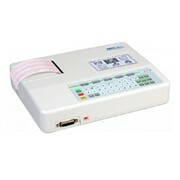 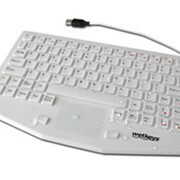 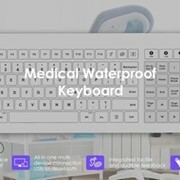 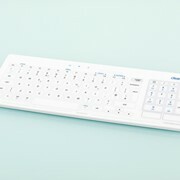 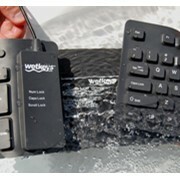 The new Wetkeys Keywi CleanBoard Medical Keyboard with Touchpad / Touchpad Keyboard is a full-size computer keyboard with a completely sealed flat surface that can be quickly wiped and sanitized between patients saving time and money. 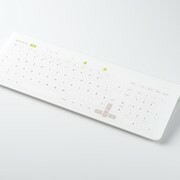 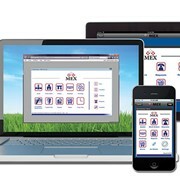 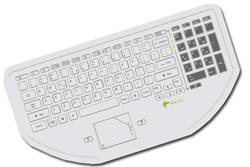 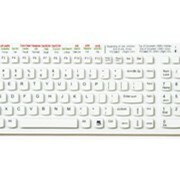 The integrated mouse pad (touchpad) and 10-key numeric pad are protected under its one-piece non-porous film surface with antimicrobial coating making it one of the most sanitary hygienic keyboards on the market. 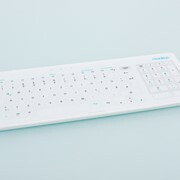 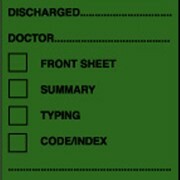 An LED disinfection reminder helps keep track of timing between disinfection cycles; a simple press of a button disables the touchpad keyboard to prevent data errors during cleaning. 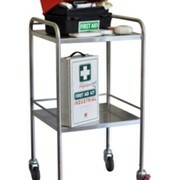 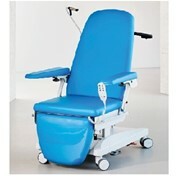 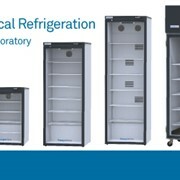 Rated IP65, it can easily withstand repeated cleaning procedures with hospital disinfection chemicals, including pure alcohol, in medical and industrial environments.